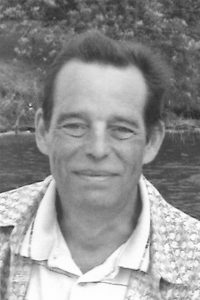 Sadly we announce the death of Dan Lee of Lethbridge, formerly of Toronto, on Wednesday, March 6, 2019, the day following a celebration of his 64th birthday. Dan was much loved by his family of many close friends and long term partner of almost 40 years, Charlene Haley. He was predeceased by his parents Audrey June Lee and Edward “Ted” Thomas Lee formerly of Toronto. We are honouring Dan’s wishes that there be no formal service, instead his close friends will gather together in his memory at a later date. Those who wish, memorial donations in Dan’s name may be made to one of his preferred charitable organizations; Canadian Parks and Wilderness Society, Bird Studies Canada, Alberta Wilderness Association or to the Rainy River Public Library.